HEXUS first saw the Roccat Horde Aimo RGB gaming keyboard back at CES 2018. 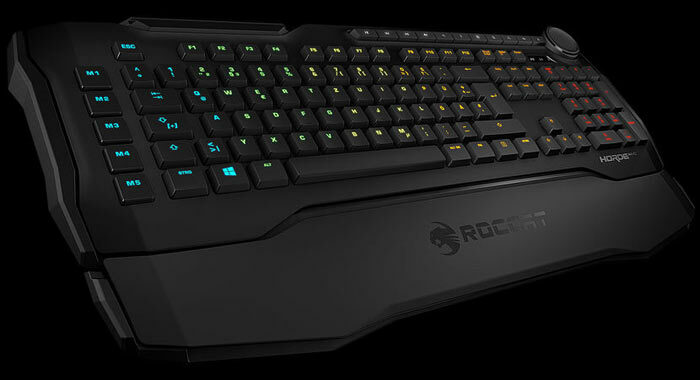 This is another of the Aimo RGB range of peripherals, originally expected to arrive before the end of January. Today Roccat emailed HEXUS to say that it's 'Membranical' gaming optimised keyboard is finally available in retail. Roccat says that its Membranical keys are much more accurate with regard to actuation point, than other rubber dome keys on the market. It claims that this is a "best of both worlds between standard and mechanical keyboards," thanks to its precise, responsive nature and fast yet silent response. A tuning wheel is present on the Roccat Horde Aimo, sitting alongside an array of media keys. The wheel can be configured to provide fast intuitive control of illumination, brightness, dpi, volume and more. Tactile steps can be felt over 260 degrees so you are sure you are adjusting the desired parameter. Interestingly Roccat has made the wheel compatible with Windows 10 Dial functionality. 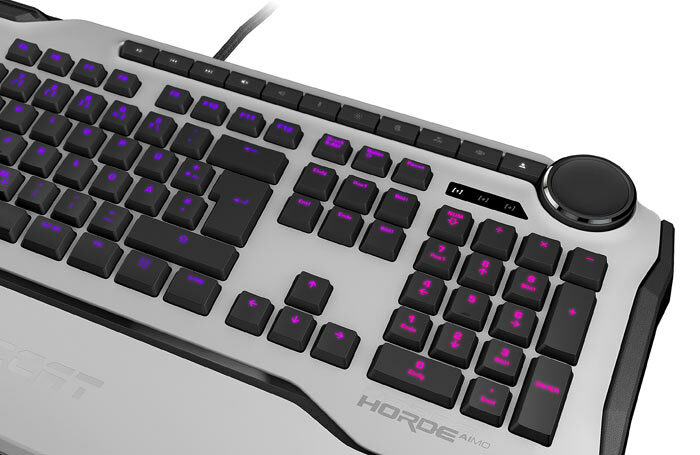 A column of five, low-profile macro keys skirt the Horde Aimo's main key zone, positioned on the left for easy and intuitive execution. Their low profile is meant to avoid accidental presses when you are busy typing, for example. 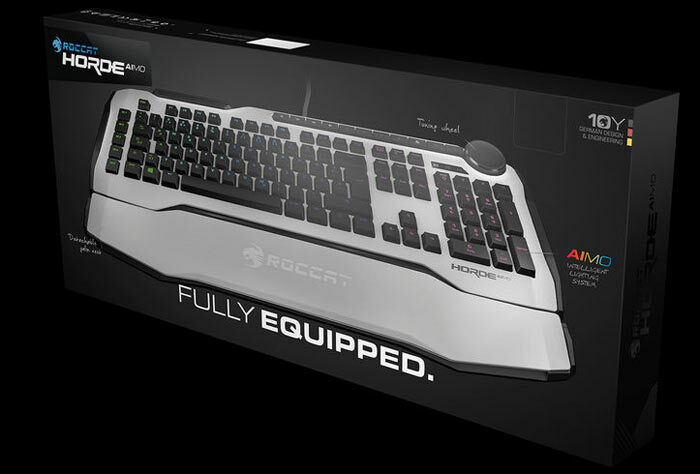 The Roccat Horde Aimo is now available with an RRP of US$99/UK£89. Would consider it, if I were in the market for a new 'board. One of the big advantages of membrane is that the actuation and deactivation point is closer to the bottom of key travel and they've apparently done away with that so they can replicate the biggest drawback of using a mechanical keyboard for gaming. So, not content with ripping off Cherry Mechanical switches, now they're ripping off Topre? If they can execute it well, that's not a bad thing at that price point. But only if done well. A poor copy isn't doing anything good for gamers.